EmuCasino was created for players who love to play online casino games from the comfort of their own home. As you may know, there is a countless number of online casinos available that make you download software to your computer before you can even spin a reel or place a bet. At EmuCasino, we do things the modern way. As one of the best online casinos in the market, we use the latest Internet technology to give you instant game play right here in your browser. No downloads, no minimum requirements, no risks. Well, good question. There are a number of reasons actually. 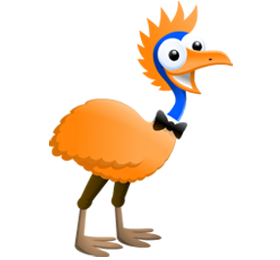 We like what the emu stands for as a character, motto and symbol. 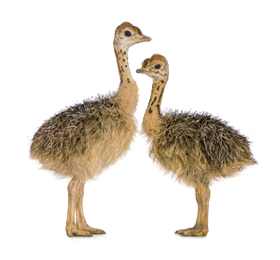 If you’re not familiar with this wacky creature, the emu is the world’s second largest bird. This soft-feathered flightless bird can grow up to 2 metres in height and run as fast as 50km/h. But it’s not its appearance and speed that make it so most unique. Emus are curious yet enduring animals that can survive for days on little food or water, covering vast amounts of land in the scorching summer heat. They are not aggressive by nature, yet they are determined to overcome any challenge in their path. For the same reason that it was chosen to be on a national Coat of Arms, is the same reason why we embraced what this long-legged bird stands for. The emu is one of a few animals that can never move backwards and is confided to always focusing on what is to overcome ahead. Metaphorically as a company and a product we are an emu, always striving for the best and aiming to constantly look ahead of what can be achieved down the track. As such, we completely overhauled the site and relaunched on a completely new setup and system that allows us to give our customers even more great features. Find out more details on the EmuCasino relaunch here.